Today's teachers are faced with unprecedented challenges ranging from suicides to school violence, shootings, and terrorism. 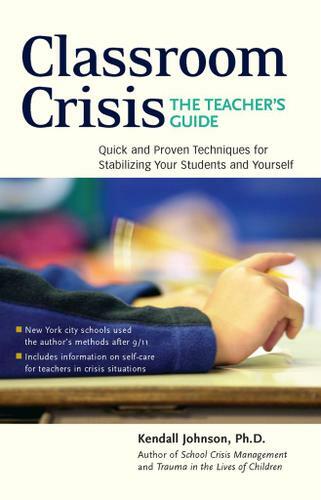 Classroom Crisis The Teacher's Guide explores children's reactions to emergencies and gives steps for stabilizing the classroom. The book describes how to manage individual student and also group behavior during emergencies, how to recognize and deal with post-traumatic behavior, and more. Also includes detailed instructions on how to calm students who are panicked, enraged, or hysterical, and how to activate students who are in shock.